Sea-Doo parts There are no products in this category. In the personal watercraft industry are the Sea-Doo watercraft the best-selling personal watercraft in Netherlands. The purpose of Sea-Doo is to their customers to offer fun on water with the most beautiful appearance. Sea Doo stands for quality. 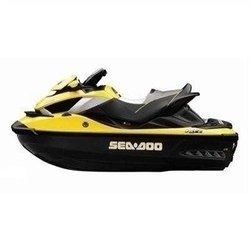 The Sea-Doo parts in our online store, we have selected for their quality and price. Are you looking for parts for your watercraft? Check out our range. Are you looking for a product that you can find on the website, please contact us. Look up all your Sea-Doo Watercraft Parts Online with our easy to use "Sea-Doo Watercraft Parts Finder". Order Sea-Doo Parts from our Secure Server in minutes. 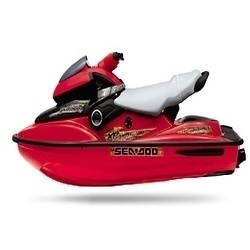 We offer the large selection of Sea-Doo parts for your watercraft. Order your watercraft parts from someone you can trust! On this page you can find all spare parts for any Bombardier jet ski. Just find model of your jet ski in the list, then choose manufacturing year and block that you’re searching for. Each part is illustrated in the block, so if you know how does it look like you can easily find in in the catalogue. We always offer best prices for Bombardier spare parts. Over many years of partnership with suppliers we achieved best prices for our customers. Thus, all spare parts we sell are not only high quality, but also affordable. - even biggest companies sometimes refuse to supply some parts. 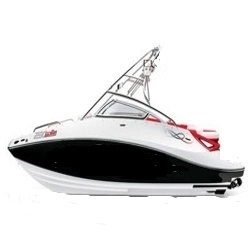 In contracst to them we offer wide range of parts for most popular brands including Bombardier jet ski. - we provide one-year warranty. So if for some reason you got parts with manufacturing defect, we will return money to you or replace new part.